Well, everything else in the garden has been taken down and pulled out. The fencing and deer netting has all been taken down and some leaves have been tilled into the side garden and the back garden. Hopefully this weekend I’ll be able to till in more leaves into the front garden. This is the latest into the year that I have been able to “garden” – all thanks to the floating row covers that I purchased at the beginning of the year. 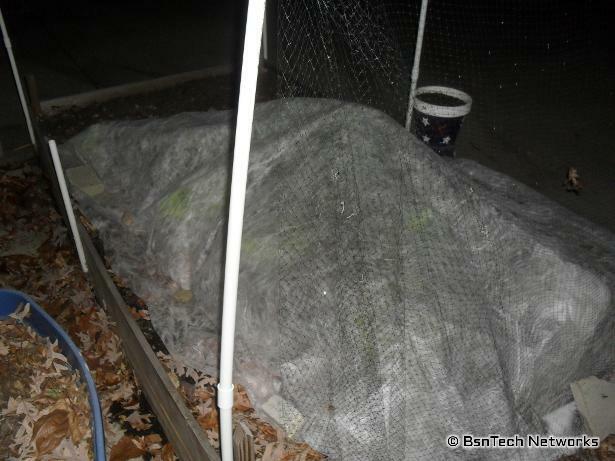 I have one of the covers over the lettuce that is still growing well in the patio garden. We have had a couple of nights down to 28 degrees so far – and the lettuce doesn’t seem to be bothered a bit. We have four Simpson Elite, two New Red Fire, one Red Salad Bowl, one Buttercrunch, and two or three Parris Island lettuce plants under the floating row cover. 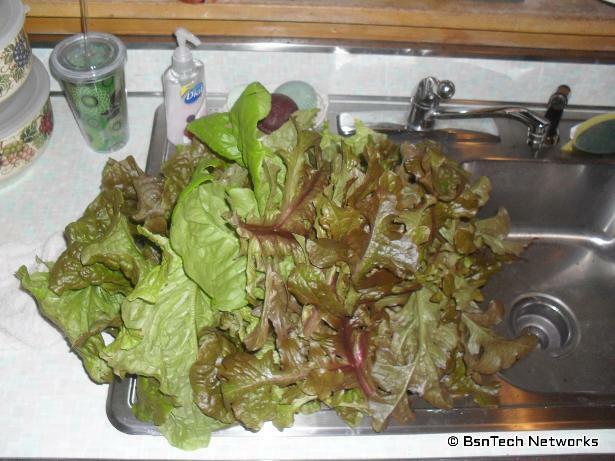 It has been about two or three weeks since we last got some lettuce – and so more was picked today. Just about two pounds worth between the plants. Iceberg lettuce at the supermarket continues to go up in price. The wife went today to stock up on some things and saw that lettuce is now $1.29 for a head. It used to be 89 cents to 99 cents most of the time. Good thing we still have some lettuce we can harvest!